Hawaii has an amazing number of large banyan (ficus) trees. People who see a banyan for the first time often look at it in awe. The amazing thing about banyans is that they grow upwards as well as sideways by dropping aerial roots to the ground from the undersides of their branches. When these roots reach the ground, they thicken and form a new trunk. For a fully grown banyan tree with many branches and trunks it is often difficult to tell which one is the main trunk or the core. A visit to the Hawaii Volcanoes National Park is a must for every visitor to Hawaii’s Big Island. This is where you can see one of the most active volcanoes in the world – Kilauea Volcano. About 2.6 million people visit the Hawaii Volcanoes National Park every year. There is so much to do and see here that it can easily take a full day. As you drive along Crater Rim Drive (the main road in the national park) you will see sulfur springs, steam vents, unique flora and fauna, and a variety of dried lava formations. Another interesting attraction is the Thurston Lava Tube, a natural lava tube that you can walk through, which is surrounded by a lush tropical forest. There are many local tour companies offering excursions to the Hawaii Volcanoes National Park. The advantage of coming here with a tour group is that you will have your own guide who will provide detailed narration along the way and take you to all the must-see attractions within the park. 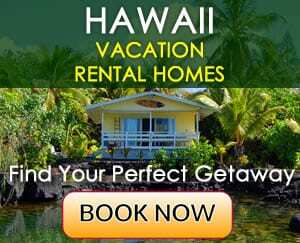 Tours depart from the Hilo and Kona area and usually last 9-12 hours. Helicopter tours are also offered and they usually take 1-2 hours.